Serena may have won more Grand Slams than Venus her older Sister but the two seem to both be making a name for themselves in the Fashion Industry. Serenas Clothing Line can even be found on HSN and Venus is doing well with her Tennis Apparel and accessories Brand called Eleven. Gladiator Sandals are often called "The Shoes Of The Romans". Many styles were worn in the home by women and children and other more durable and bulky styles were worn by those who served in the military. Today, many Celebrities can be seen wearing Gladiator Sandals with styles varying from those that stretch from the knee to others with a wedge like the Ruby Wedge Sandal shown here. Ever since I found the Afropolitan Mom Website, I have been reading and commenting on it, as much as possible. Kira O. really shares material that keeps me informed and inspired. She recently shared a Fashion Post on wearing white after Labor Day that I absolutely loved! Jay Stein, Chariman & Founder of Stein Mart Department Store, one of my employers, released and invite and a thank you using a letter. Its shown below. Singer/Actress J. Lo made headlines when she posted a few photos, from her new Kohls Campaign onto her Instagram Page. In the shoot, she stylishly sported what some will call the perfect alternative to a classic Business Suit, a Jumpsuit. The Songstress completed the look with a long sleeve, white blazer with a waistline cut and lots of detail. A woman's attitude about the romance her guy offers involves things like: remembering birthdays and anniversary celebrations that might include Mom and Dad around a table full of all her favorite dishes. The food and whose in attendance matters and adds to the intimacy and romance of the occasion. Looking relaxed as he brings in his 21st Birthday, he could have chosen to have a few shots of alcohol. Instead of choosing headshots and a hangover, he decided to mark his Right of Passage to adulthood with something a little more positive. He pursued what he says is his other calling, fashion, creating The Lapel Custom Clothing Brand. Scrappy has accused Erica Dixon of being emotionless. Many fans of Love & Hip-Hop Atlanta believe Erica Dixon's lack of emotions are justified due to Scrappy's repeated episodes of hurt, lies, and distrustful behavior. Erica Dixon may not have experienced her Cinderella Moment with Rapper Scrappy on the VH1 Hip-Hop Hit Show. However, she is steadily creating her own moments to be noticed since the shows Atlanta finale. You can't keep a good woman down should be Mimi Faust's new mantra. After taking a look at her Instagram Page, it is very obvious that she has no worries about the latest rumors of a Marriage Celebration, including Celebrity Guest like , Mrs. Trust & Believe Singer Keisha Cole and Movie Star Songstress, Jill Scott. No, Mimi Faust does not look like she has any worries. Check her out getting all dolled up below. For some reason I always think rich and understated, when I see overalls. My Dad loves overalls; he wears them often. Seeing them styled, by Dawn Del Russo and Corey Parker, certainly makes them seem more fun and interesting. What a way to intensify the pressure of this fashion challenge. Seriously, ever since my early adolescent and teen years, when I was that bean pole girl with no chest, long legs, and a super thin diaphragm, I have always loved a good pair of short, shorts. Take a look at how Dawn Del Russo advises you to wear your short shorts. Pink is doing it big on her Truth About Love Tour. To give Pink's effort the proper due, we will describe the buzz as extraordinary. With mentions of more than 18 Semi Trucks and set up time for her shows being more than 7 hours, we realize that her True Love must really be music. Then get a look at how we are lifting up Singer Pink's name with style! It is no secret that women are very careful making fashion choices that run the risk of adding a few extra pounds to their silhouette. Flowers usually are said to be one of the things that produce extra pounds. However, there are ways to look flattering in flowers. Take a look at one dress that plays them up very well. You know you want it! Getting in on the hottest must have items is how you make sure you stay on point. Telling yourself you deserve it sometimes forces you into a purchase, even when you know it will set you back a few bills. Many of you have been in this unfortunate situation, as you salivate over your favorite brands. It is easy to relate to for sure. When the retail price is out of your range, what's next? The answer is simple; proper planning and good alternative choices. Spending time with our kids is essential for bonding purposes, and it bring families closer together. We can often learn a lot about our children just by observing their behavior. Kelis was photographed at an event she attended with her son Knight Jones. the paps also managed to snap some shots of her little one. You may remember me featuring Kelis on this blog at that very event, but the picture I showed did not fully reveal her sons face. Check them out together. The news of these Pearly Whites broke via Oprah Winfrey like a hot topic prime time news story. Everyone was talking. The linked together pearls of different sizes look glamorous and expensive. 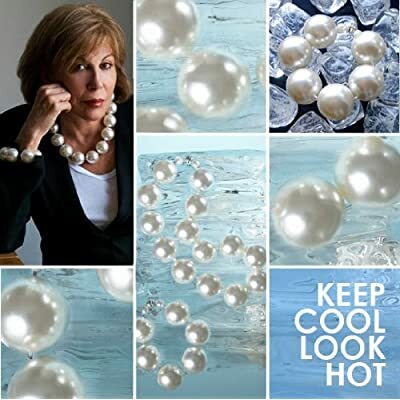 Lady O recommends the Hot Girls Pearls to her loyal girl pals O Magazine Readers. A brilliant idea if I ever heard one that served as a means to a cool down. These pearls are not too expensive and they are useful for more than a prep up to your favorite outfit. Putting a look together for work is similar to the way clothing is chosen for any other occasion but with a little extra caution and attention. As always, there is some discretion and consideration to the over all environment. Today, I will show you one of my casual work styles to bring us down off our hoop love celebration so that we can see things a little more clear. Here I am standing upright hands at my side with a straight face and level head.